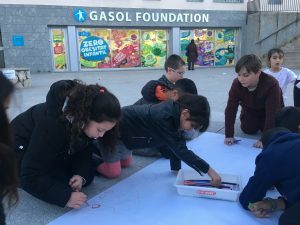 Gasol Foundation prides itself on basing all of our projects and initiatives on scientific evidence as it relates to the childhood obesity epidemic. It is through this specific research that our 4 main determinants of childhood obesity were identified and established. These determinants are demonstrated through Gasol Foundation Healthy Galaxy and its 4 planets. The exploration of this Heathy Galaxy represents one of many techniques utilized to bring awareness on childhood obesity to children and their families. We believe that research is essential in order to find methods that work best for individuals and communities who are affected or may be affected by obesity. A Gasol Foundation project goes through various phases in order to ensure quality information, notable data, and sustainable results. 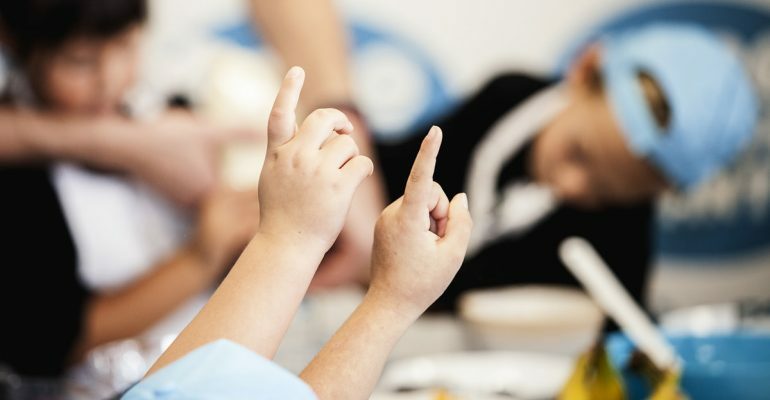 This particular process includes: a formative assessment, a bibliographic search phase, a project planning stage, pilot intervention, a thorough PRE-POST evaluation, and a validation study to ensure the project is achieving its goal toward preventing childhood obesity. After this stage, and depending on the results, Gasol Foundation considers the opportunities to expand the initiative. We are currently partnering with many prestigious Universities, Research Centers and Hospitals both in Spain and the United States, in order to contribute to generate new scientific evidence in the field of childhood obesity prevention, its prevalence and its determinants. Gasol Foundation strives to be a leader in the field of childhood obesity. This requires conducting proper research and having the ability to critically evaluate information. This approach continues to propel our work forward, therefore allowing us to reach our Zero Childhood Obesity goal in the near future. We will continue to perform high quality interventions and innovative research until our mission is accomplished. 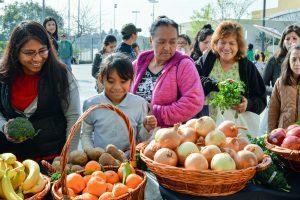 A new study led by Gasol Foundation and the Hospital del Mar Institute and Medical Research provides evidence about the prevention of childhood obesity. The prestigious European Journal of Pediatrics, a leader in the field of pediatric medicine research, publishes a study lead by researchers Dr. Santiago Gómez (Program Manager of the Gasol Foundation) and Dr. Helmut Schröder (Senior Researcher of the Instituto Hospital del Mar de Investigaciones Médicas and Head of the CIBER group in Epidemiology and Public Health, CIBERESP). This article details the results of the POIBC research, whose objective is to survey the effectiveness of the Thao-Children’s Health Program in its incidence of overweight and obesity in boys and girls. 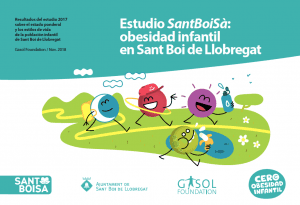 Gasol Foundation and the Hospital del Mar Institute and Medical Research collaborate in the study “Association of eating behaviors, lifestyle, and maternal education with adherence to the Mediterranean diet in Spanish children”. Appetite, a peer-reviewed journal published by Elsevier focusing on the behavioral sciences – particularly as it pertains to food and/or beverage intake – publishes a study led by researchers Dr. Santiago Gómez (Program Manager at Gasol Foundation), Clara Homs (Program Technician at Gasol Foundation) and a group of IMIM researchers captained by Dr. Helmut Schröder (Senior Researcher of the Instituto Hospital del Mar de Investigaciones Médicas and Head of the CIBER group in Epidemiology and Public Health, CIBERESP). This study was a prospective cohort analysis within the framework of the POIBC study (Spanish acronym for Prevention of Childhood Obesity: a community-based model) that aims to investigate prospectively the association between adherence to the Mediterranean diet and lifestyle factors, eating behaviors, and maternal education in Spanish children aged 8–10 years.